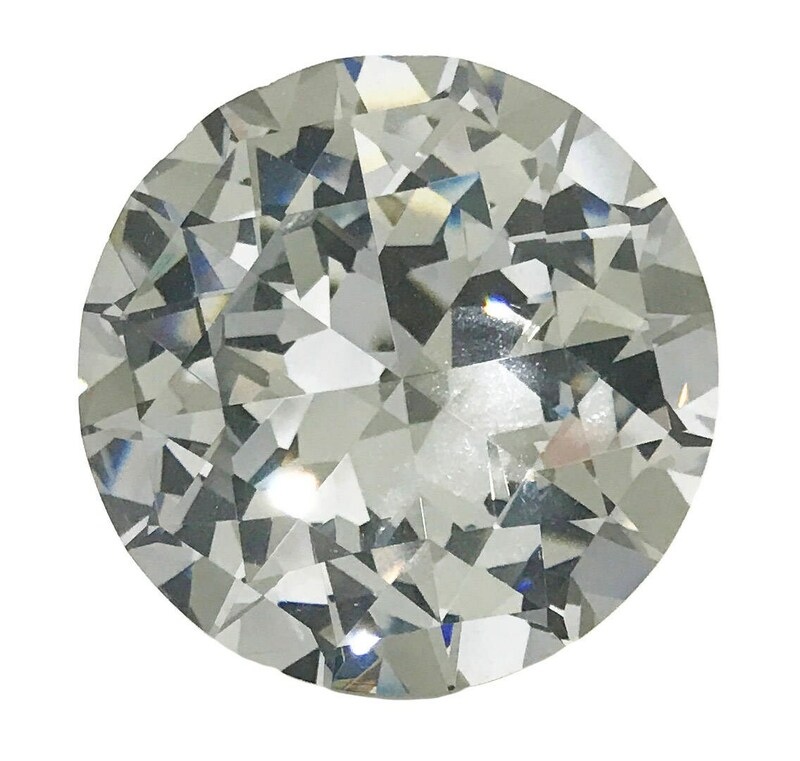 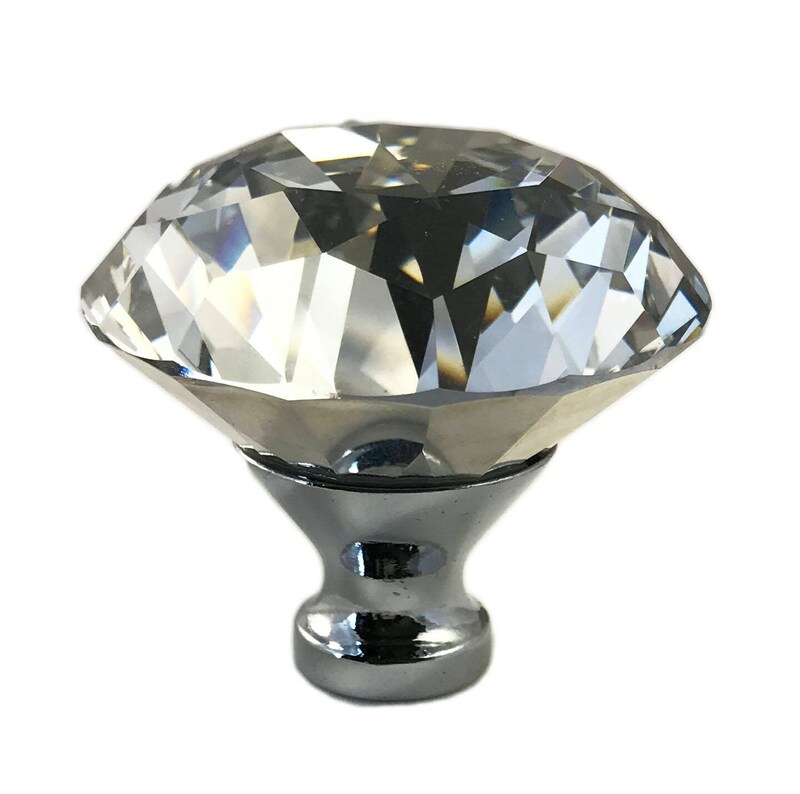 Large Clear Crystal Glass 2" Wide, 50mm Round Knob, Drawer Pull, Cabinet Pull, Dresser Drawer Pull with a chrome base. 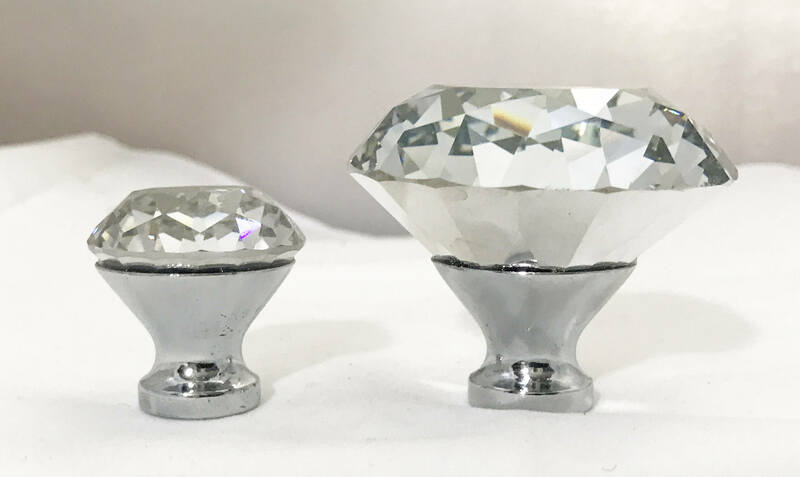 Picture shows a smaller 1" crystal knob and its big sister 2" knob so you can see the different sizes. 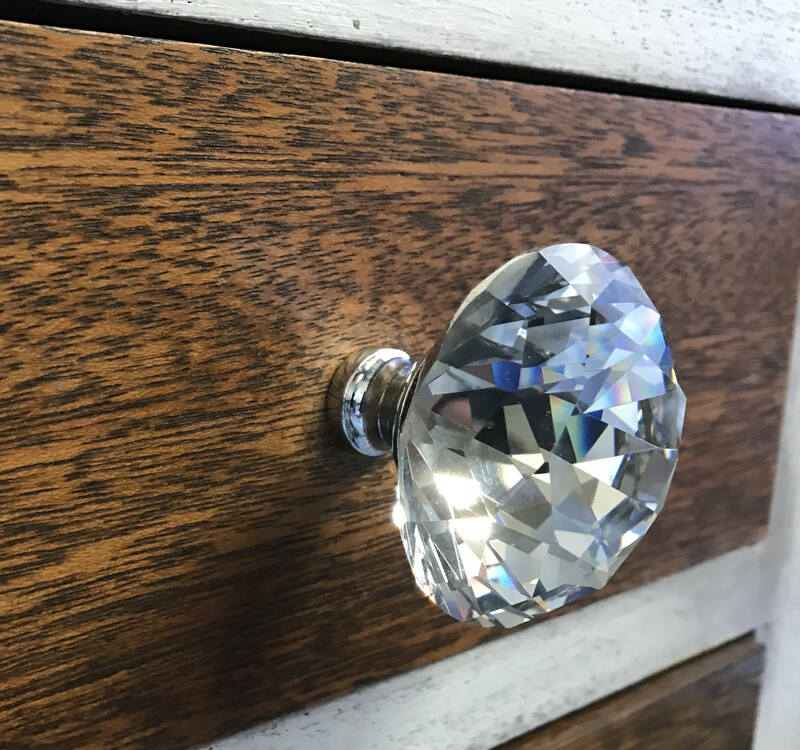 Listing is for 1 larger 2" crystal knob.